Hundreds or pupils across Scotland are to learn about the dangers of posting sectarian messages online this month with the launch of a new play focusing on cyber bullying and bigotry. 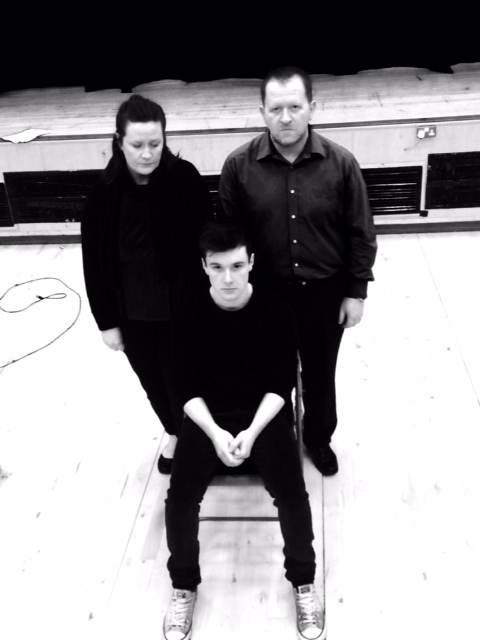 We have teamed up with Black Dingo Productions and emerging writing talent Jennifer Adam to stage performances of ‘Warrior’ ; the story of teenager Evan and the consequences of his decision to post sectarian content online. Nil by Mouth will sponsor performances in schools across Ayrshire, Stirling and West Lothian with the aim of raising awareness of the legal consequences of such behaviour. Posting sectarian and offensive on the internet carries a maximum sentence of five years in prison in Scotland and in recent months there have been a number of high profile cases involving footballers and celebrities. It was revealed last year that nearly half of all in crimes in Scotland take place online and last May a survey of 1,300 young adults, conducted by marketing agency Digital Clarity, found that 16% of the 18- to 25-year-olds 16% admitted to spending over 15 hours a day online. ‘We are thrilled to be working with Jennifer and Black Dingo Productions on this project. ‘Warrior’ was premiered at the Edinburgh festival last year and we felt it had a powerful message which needed to be taken into schools. This is a clever and much needed play which pulls no punches. Sadly, we are seeing people use the internet, and social media sites in particular, to spread hate and bigotry. We have been working with a number of offenders, victims and families over the past few years and what become very clear is that people do not think there is any consequences for abusing people online. It’s also astonishing how many people use words they don’t even understand. “The project was commissioned to increase awareness of the issue of sectarianism in Scotland and the need for young people to be aware of legislation covering threatening communications on the internet. I wanted to show how blind ignorance to an issue could fuel unintentional bigoted hatred.